Illuminate your outdoor space and keep your loved on safe without adding onto your electricity bill! This Motion-Activated Outdoor LED light is the perfect lighting solution for your garden, garage, stairway or patio. With a built-in solar panel, Solariska™ charges automatically during day time and you do not need to worry about the complicated wiring or installation.The motion sensor detects movement up to 10 -15 feet away and automatically illuminates whenever someone approaches! Innovative design: Solariska™ is powered by sunlight and turns on automatically during night. 20 LED lights provide bright light for your outdoor spaces. 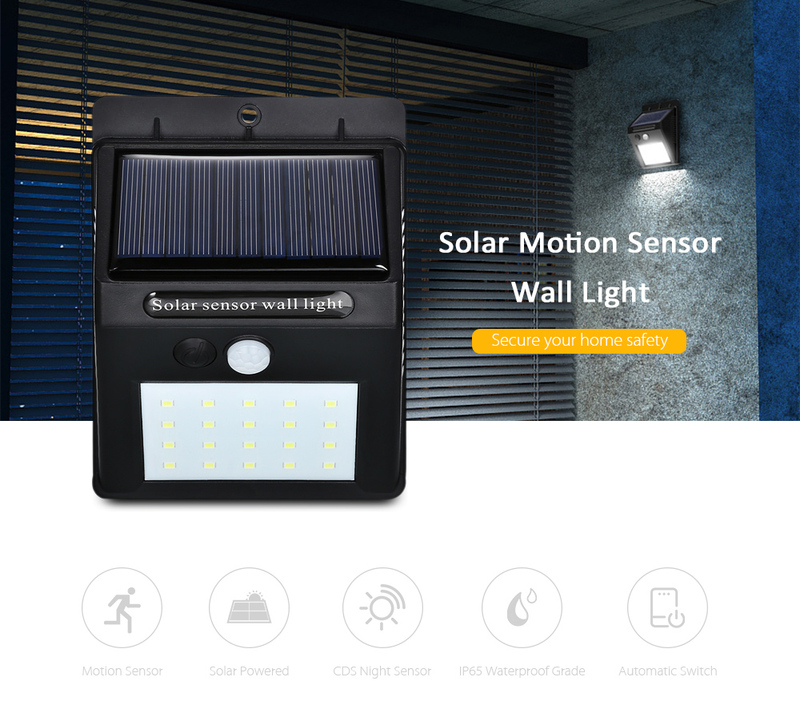 Motion sensor: Solariska™ is equipped with PIR sensor and CDS night sensor, making it perfect security lights for the safety of your home. 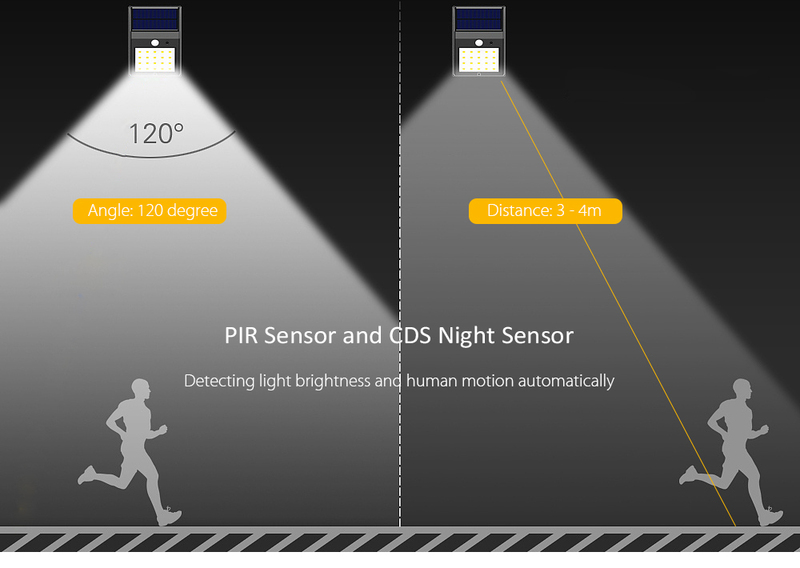 When the motion is detected out 3-5m, it automatically switches the LED’s to maximum brightness. Waterproof and durable: With IP65 waterproof design and strong built, Solariska™ perfectly lights up your outdoors all-year-round. 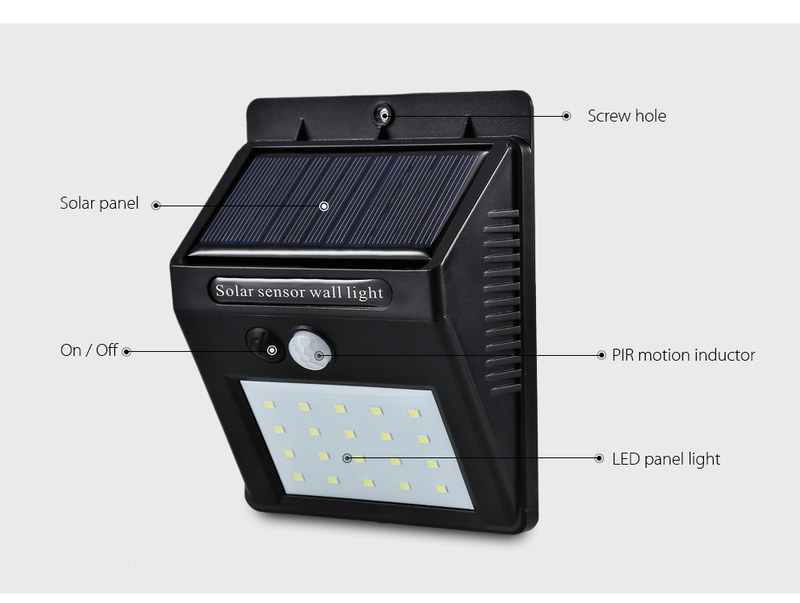 3 operating modes and wide coverage: SOLAR LED features 120-degree angle to give you better lighting every night. This security motion light automatically turns on for 30 seconds when it detects motion. It stays on until there is no motion detection. 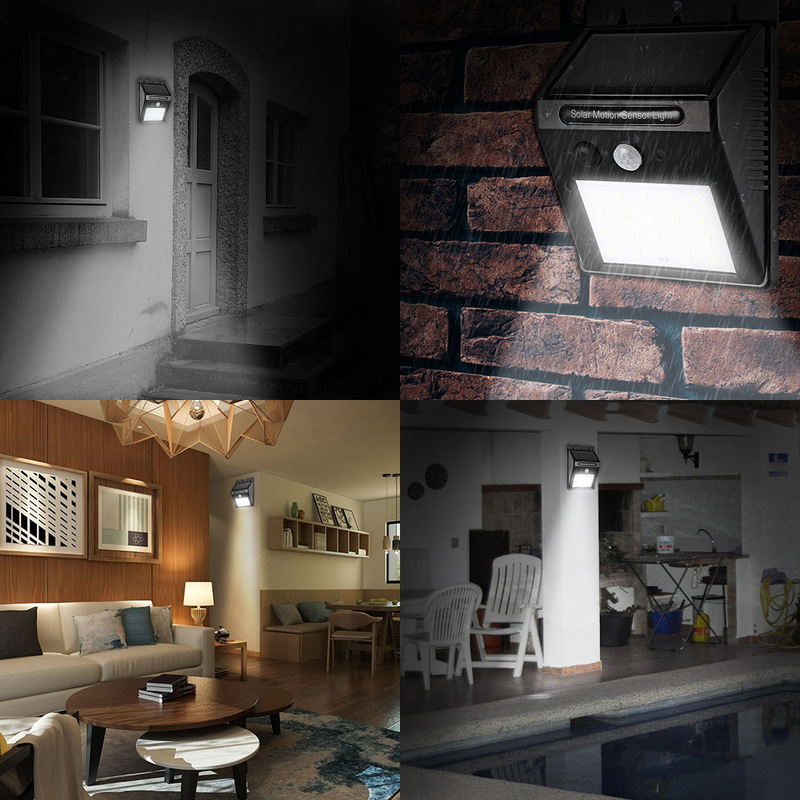 Eco friendly and energy saving: Simply let your Solariska™ absorb sunlight during daytime and enjoy light for up to 12 hours in steady mode at night.This is the perfect lighting solution for your garden, garage, stairway or patio.